Remember Papers Pads and Pictures? 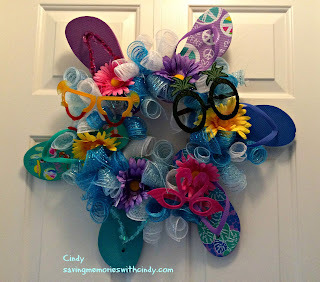 A post or so back, I showed you a flip flop wreath that will be our Community Center May project. 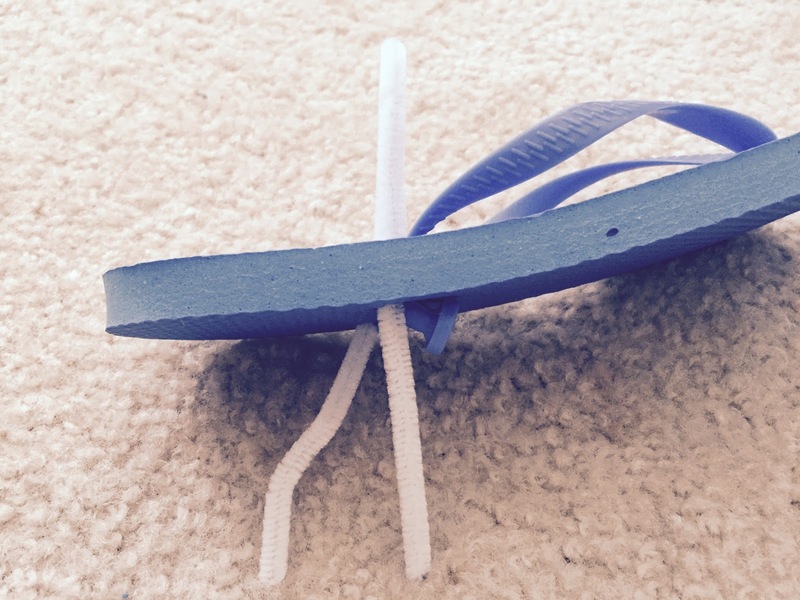 As I was doing research for the project, I learned that there were many problems with the flip flops falling off the cardboard/fiber board ring. I wanted to figure out a way that this would not happen to the ones we made. I "got it" and now I'm going to share it with you. 1. Poke pipe cleaner from front side of flip flop through to the back at both heel portions of the shoe’s strap. 2. Attach the flip flop to the wire wreath at the connector points of the wreath. It will take 6 shoes (3 pair) of flip flops to complete the wreath. Secure with hot glue. 3. While glue is drying, cut 24 pieces of mesh approximately 15 inches in length. 4. 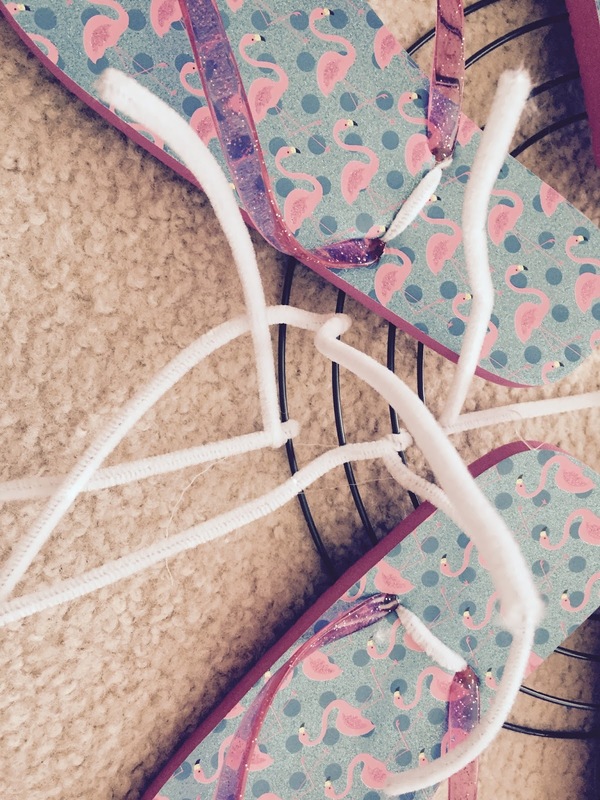 Twist 4 pipe cleaners between each shoe in preparation for the mesh. This will take 24 pipe cleaners. 5. 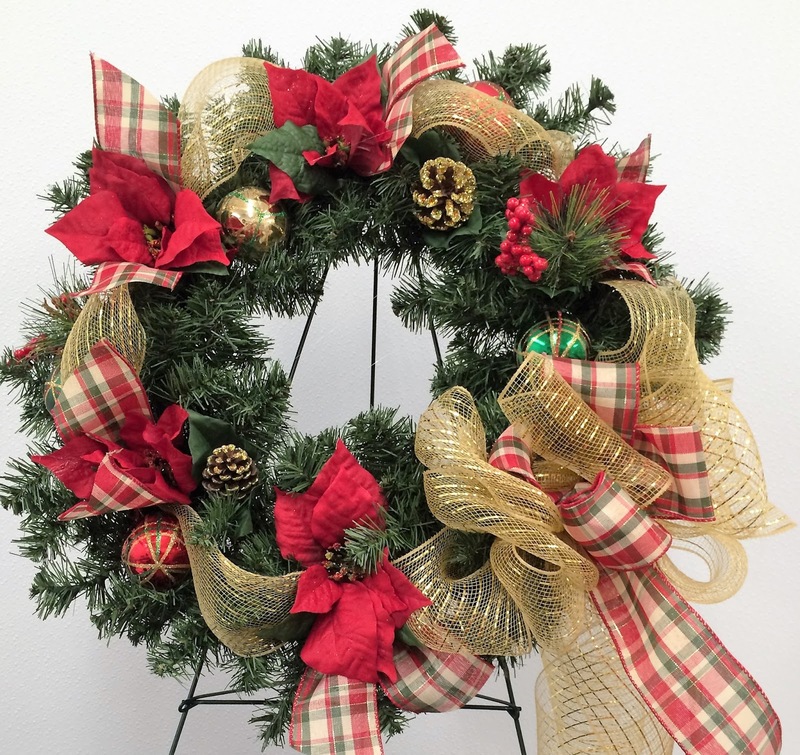 Attach mesh to wreath by twisting into each pipe cleaner. 6. 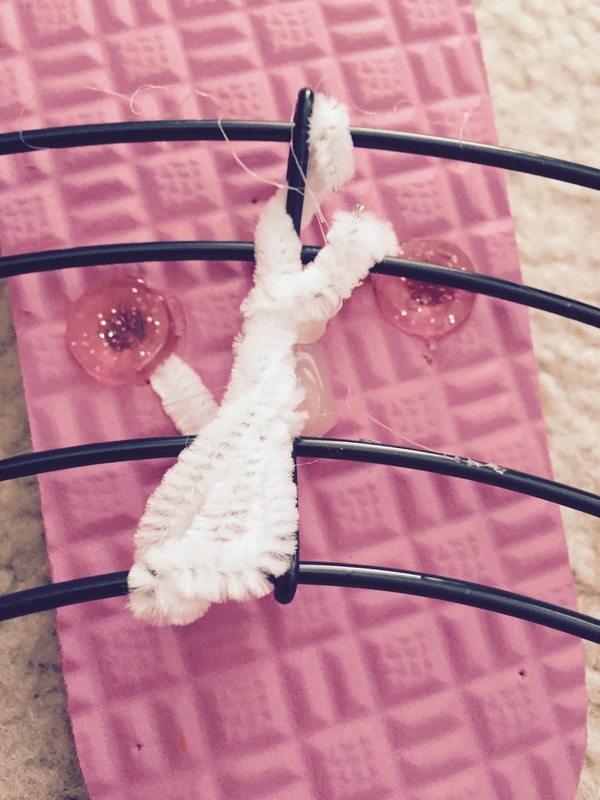 Cut excess pipe cleaner (not to short) and twist ends downward to hide in the mesh. 7. Hot glue daisies or another type of flat flower to the heel of each shoe to hide the pipe cleaner. 8. Carefully open the ends of the twisted mesh to spread. 9. Attach glasses or other decorations if desired. Close To My Heart has a special paper packet this merry month of May in honor of National Scrapbooking Month. It is called "Happy Times." It is a fun paper packet with what I bet is a hint of the new colors. There are even 4 sheets that have foil embossed patterns. It is bright and colorful and I really like it. 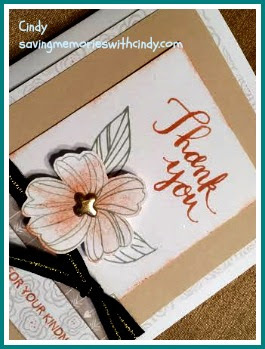 The card features a gold heat embossed sentiment to match the Happy Times gold embossed paper I used as a background mat. The flowers were cut on the Cricut using Hollyhock paper. Happy Times is available free with a $60 purchase from my website. I am also working on a picture tutorial on making that flip flop wreath featured in my last post. 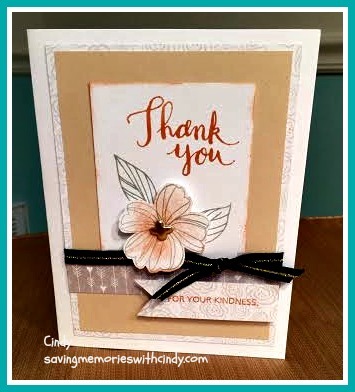 Don't forget to check out the CTMH Happy Times paper packet on my website and the sketches on MojoMonday. For Now, Happy Crafting! All is well, just working tooooo hard...so what else is new. One of the fun things I've been doing is teaching a class at our Community Center. While most of it is not paper craft (already have a card teacher) it is a general craft class. A great group of gals attend each month. 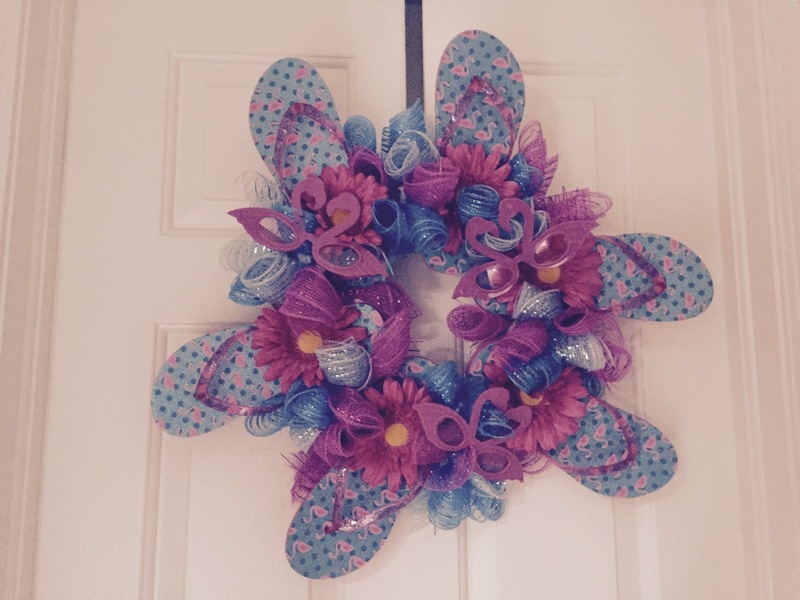 Flip Flop wreaths are one of the hottest projects this year. I did mine a tad differently on a wire wreath and I will really really try and share how I made it but I must head off to work. For Now, Happy Crafting! 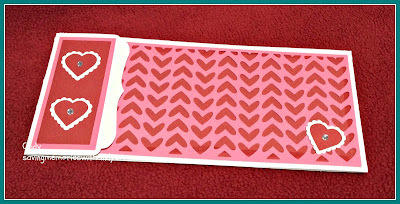 I love my new Cricut Explore Air. I have always had a Cricut. My purchased my first baby Cricut soon after they were released. I had a "big" hit at the local Casino and stopped on my way home at the Michaels and grabbed the first bundle. 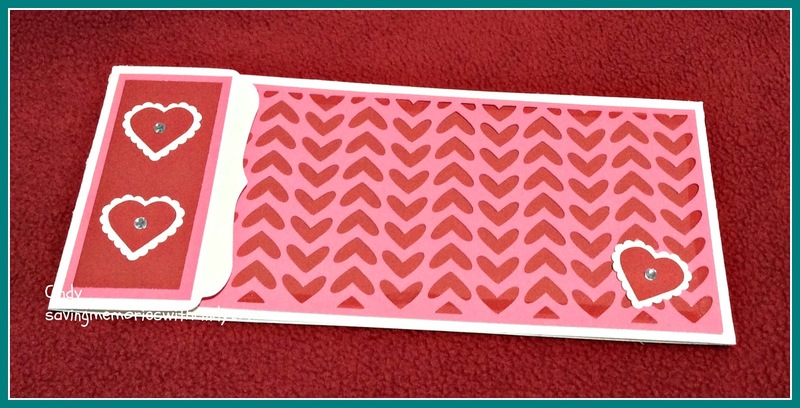 Over time, there have been many versions, but the Cricut Explore is the best I have seen. Using the Design Studio, all of my all cartridges come to life on my computer or IPad screen. Ok, I sound like a commercial, but I really do love the machine. Anyway, I told you that I have begun teaching again. Yesterday I had class and we made those adorable glass blocks. 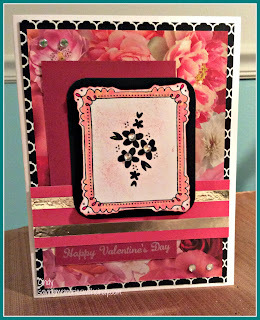 I knew that I would need a small add on project, so I designed a Valentine card using entirely Cricut cut outs. This card was done entirely using CTMH Artiste and CTMH Artbooking cartridges. The card bases can be found on my website. What a great deal...10 cards and envelopes for $2.78. 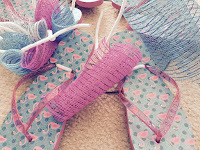 The images are cut using Colonial White, Ruby and Cotton Candy. 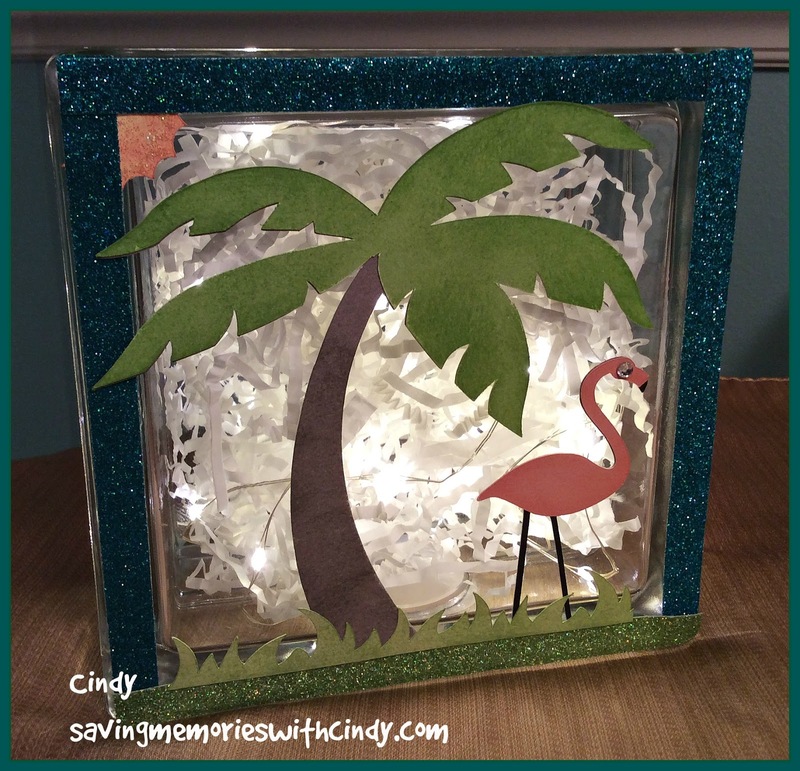 The gals in class had a great time and were amazed at what the Cricut and the CTMH cartridges are capable of doing. BTW. here is another picture of the block we made. The palm tree is also cut using the CTMH cartridge. I love the amazing things you can do with both the Cricut and the CTMH Cartridges. 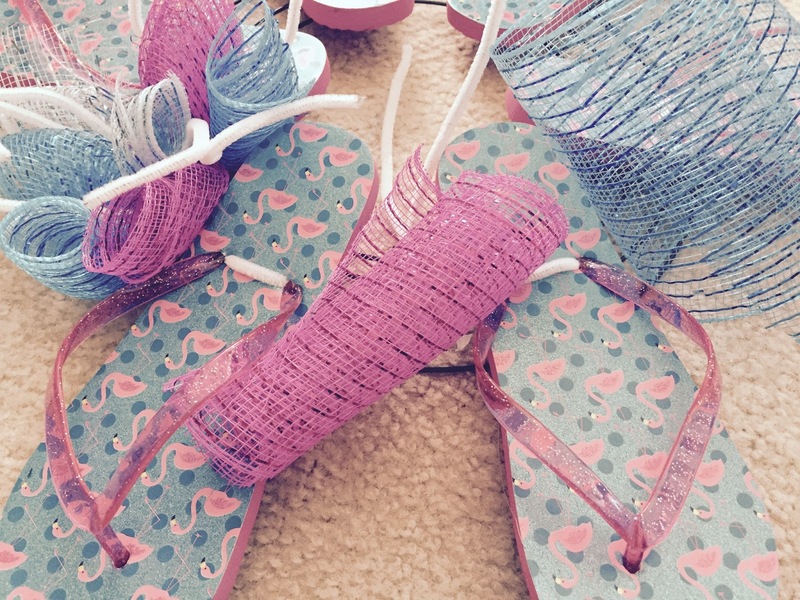 For Now, Happy Crafting. I am really going to keep this creating thing going. It is hard with my schedule (more about that later) but I am going to try. 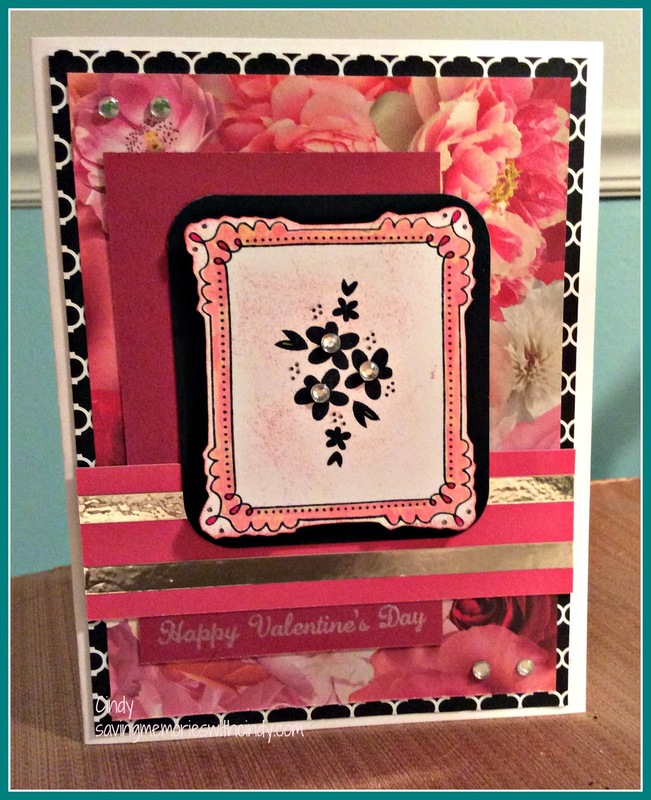 This card is made using CTMH La Vie En Rose (X7201B.) It is a combination of Black and White with a colorful pattern sheet with Poppy, Sorbet and Pomegranate roses. For those that remember, it reminds me of a retired paper packet called "For Always." 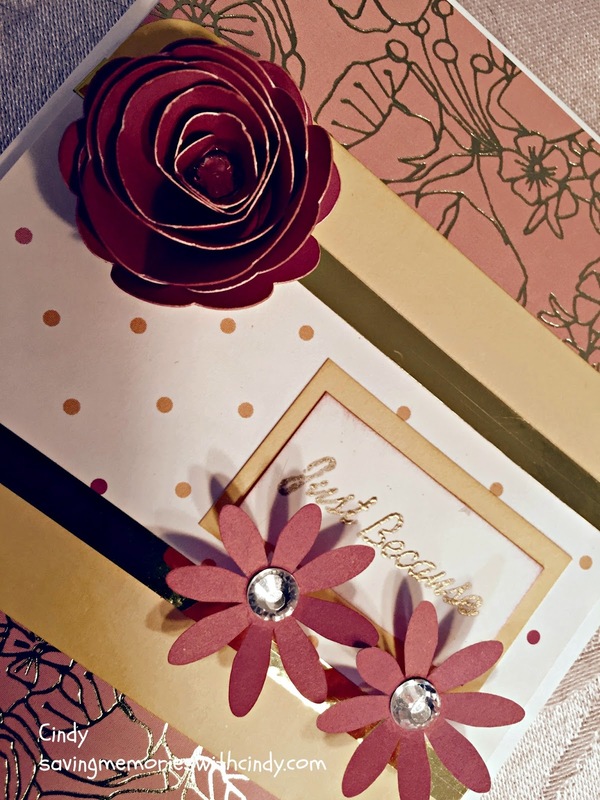 This type of paper packet is perfect for Weddings, Anniversaries and Valentines Day. 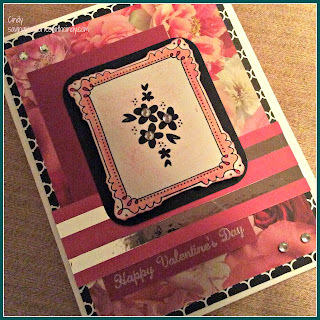 The stamp set I used is from one of CTMH's Cricut Collections. I treated myself to one of those fancy Cricut Air models and gosh do I love it. It was worth every penny. If you look closely, the frame image is a line stamp that I colored using my ShinHan markers. Adult coloring is so in vogue right now! CTMH has the markers and pencils you need to take up this new fun hobby. By the way, that is CTMH embossing powder and the new CTMH silver foil tape. All of the items can be found at my website. I keep talking about my awful schedule. I am still working full time as a floral designer at my local Michaels. I never realized the stress this would put on my time. I STILL don't have my craft room the way I want it. Slowly but surely I hope to get it together. I owe so many notes and phone calls. I am thankful for the understanding about my time constraints. I leave you with this beautiful sunset. 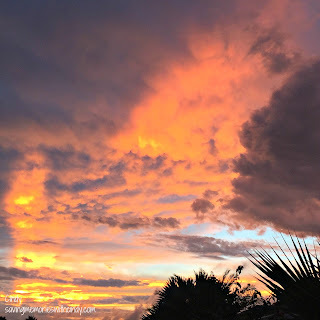 I snapped it one day in the shopping center parking lot while I was on my work dinner break. For Now, Happy Crafting! As promised, here is another post! This card comes from the new Seasonal Expressions mini-idea book from Close To My Heart. Starting with this supplement, CTMH is altering the familiar Workshops on the Go. Now the kits include more pattern paper, embellishments and even 12 x 12 paper that can be cut apart and used as Picture My Life Cards. The stamp sets are no longer included which is a good news bad news. Sometimes I liked the paper and didn't care for stamp set or vice versa. Now, you can used the suggested stamp set or use your own. As always, there are instructions for scrapbook pages and cards. 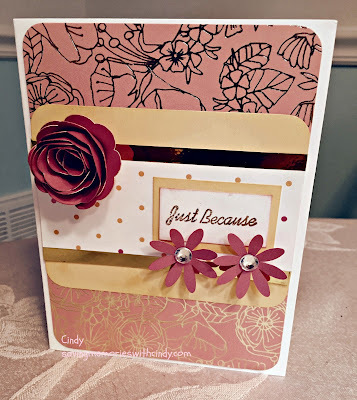 This card is made using the Charlotte Workshop You Way Kit (G1104.) Charlotte's B/T Duos are a wonderfully soft and delicate pattern including the shades of sorbet, slate, whisper and champagne with accents of black and gold. By the way, the stamp set used is called Spring Time Wishes (C1641.) Both the stamp set and the Charlotte Workshops My Way paper pack can be found on my website. It is fun to be "back." For Now, Happy Crafting! Can you stand it...palm trees and pink flamingos. That is a glass block filled with LED timer lights. The outside has been decorated with images cut using my Cricut. Of course, the paper, shimmer tape and prisma glitter are Close To My Heart. I plan on doing a small Valentine project, too. Mason Jar Madness featuring CTMH leaves cut on the Cricut. I have been spending time studying the new CTMH Idea Book and Expressions Book. I think the new I think I may have something to post tomorrow...heeheehee. I have to say I love both those books and think that they are some of the best CTMH has offered in recent years.! Keep watching..I already have something made to post. I am happy to be back. For Now, Happy Crafting! Helping people smile has always been one of my greatest passions. 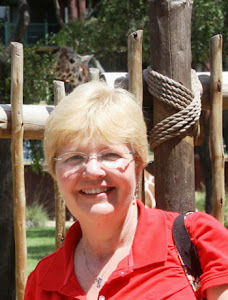 Becoming an Independent Close To My Heart Consultant was the perfect option for me. I spend my day creating wonderful projects and then get to share the joy by either having the opportunity to teach how I made the project or seeing faces light up when they receive that special card made just for them. CTMH products are well made and offer so many options for both the novice and advanced papercrafter. Being a Consultant has opened so many doors. The freedom to create, earn income and meet many wonderful people are just a few examples. If you are interested in sharing the joy through creating beautiful projects using CTMH or want join my team and help to spread joy, please contact me.